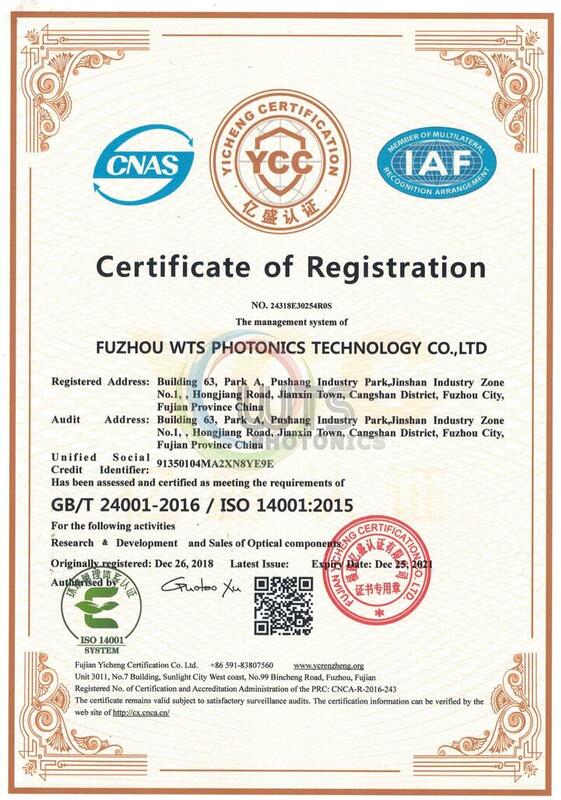 FUZHOU WTS PHOTONICS TECHNOLOGY CO., LTD. has a long history of manufacturing some of the most demanding optics in the world. WTS is specialized in precision optical components. 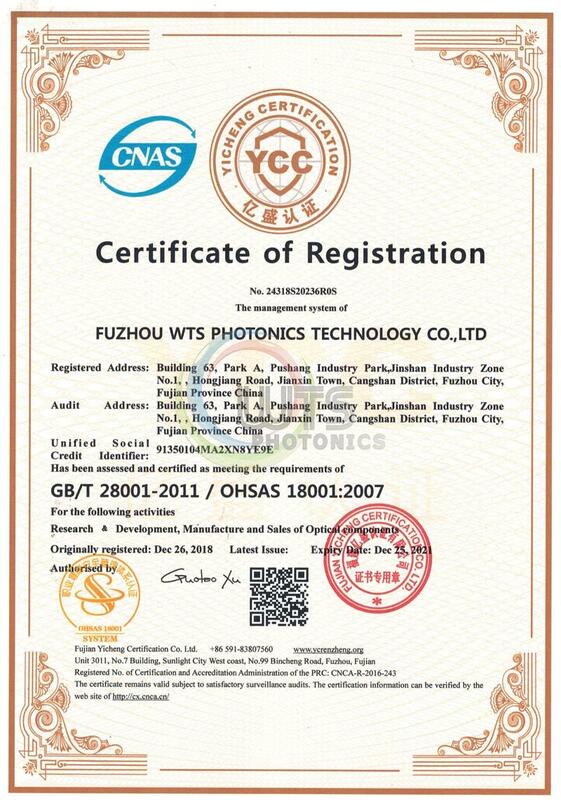 As a vertically integrated optics design and manufacturing company, WTS could manufacture optics lenses, windows, prisms, beamsplitters, filters, mirrors etc. Products. WTS offer coating service, specialized in custom optics and thin film deposition services. Our products provide superb optical performance in the wavelength range from 190 nm to 3.2 microns. WTS has the specialized assembly lab. Class 3000 clean room and optical devices offer the capability of assembly. 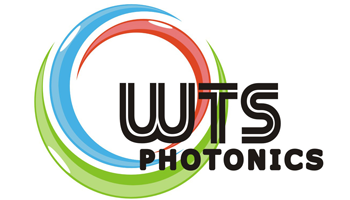 From optical design to optical assembly, WTS can offer you a integrated service. WTS has design capability in system and components solution, we supply custom design solution, optical design & thin film coating design. And the sample and drawing could also help us to save time and cost. 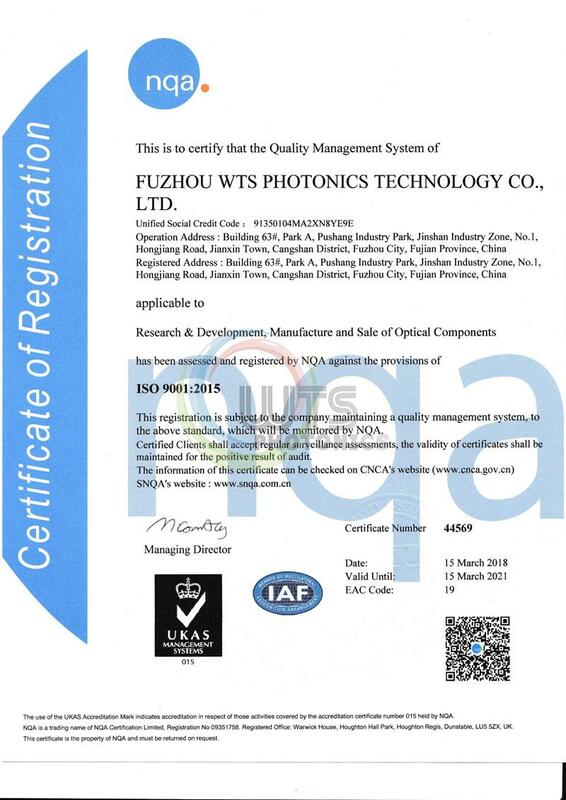 Base on ISO 9001:2015, WTS quality management systems is set up and controlled. All of our products are measured under metrology device before delivery.